As they say: the more, the many-er! (SPOT.ph) On paper, a big barkada sounds like absolute #SquadGoals (Taylor Swift will definitely confirm this). And it sure has its perks: Your barkada will listen to you when you have problems, use their combined resources to do a very thorough background check on your crush before giving you the go signal to start dating, and they’ll always have your back no matter what. But it’s not always rainbows and butterflies for a big gang: fights can be very messy, and planning anything always gets so stressful. If you can relate, you’ll definitely find yourself nodding along to these as well. You’ll always find someone to do stuff with.Your barkada wouldn’t be complete without akaladkarin friend or two whom you can drag off to a party or to an out-of-town trip at a moment’s notice. Your dream car should have ample space in the trunk to fit all your gear plus those of your friends! It’s hard to get everyone together physically.Paolo and Karen are in law school, Jordan’s working abroad, Belle’s on the night shift, and the rest of the gang are leading jam-packed lives. Since everyone’s so busy, you’ve learned to block off the dates of your barkada parties months in advance to avoid scheduling conflicts. Your groufies are always extra challenging. Cramming everyone in a selfie is no easy feat, but you guys can pull it off even without using a monopod. There’s always a bit of maneuvering and awkward posing involved, but it’s definitely nothing you guys can’t manage. Road trips usually always involve car-stuffing... Having the whole gang inside your car is a guaranteed recipe for fun! Now, if only your car were spacious enough to fit you all comfortably, that would be great. Backseat drivers. You love your barkada to bits, but it’s kind of distracting when they won’t stop dishing out unsolicited opinions on your driving while you’re on the road. Wouldn’t it be so much easier if they trust in your excellent driving skills and your car’s safety features? Your group chat can go from 0 new messages to 300 unread in 3 minutes. Especially when there’s juicy gossip to be heard or crazy news to be shared. Woe to the unlucky barkada member who misses the action and has to backread everything! It’s always a blast when you’re with the gang! Having a big barkada isn’t always smooth sailing, but you have to admit: life’s always a little more fun when you’ve got a lot of pals. Up the ante by arriving to the party in a charming carwith interiors that reflect your gang’s cheeky personality! 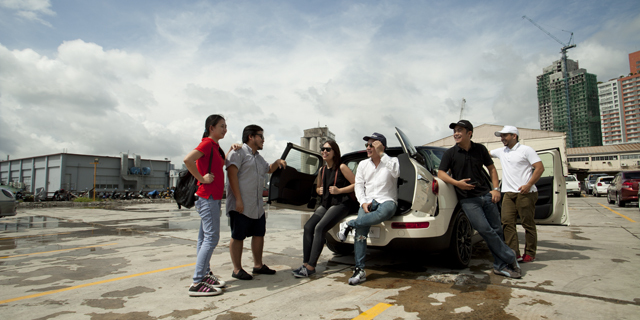 A barkada as awesome as yours deserves an equally rad barkada car! 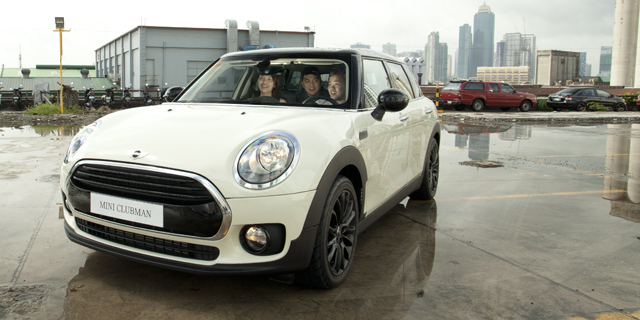 Our pick: The Mini Cooper Clubman, a hip set of wheels that’ll win you the crown for the best barkada in town. Bigger and better than its previous iterations, the new Mini Clubman’s got everything you’re looking for in a barkada car: spacious seats that’ll fit everyone comfortably (no more kandungan! ), a large trunk that’ll contain all your stuff and more, driver assistance systems like parking sensors and a rear view camera that’ll ensure your whole gang’s safety, and roomy interiors with colorful ambient lighting to take the party wherever you go. Of course, all these cool features would be nothing without a powerful engine accompanying it, and the new Clubman delivers on that front as well. The Mini Cooper Clubman and the Mini Cooper S Clubman are respectively powered by the latest generation three and four-cylinder engines driven by Mini TwinPower Turbo Technology. You can easily go from 0 to 100 in under 10 seconds in both Clubman models, reaching top speeds of up to 228 km/h. The new Mini Clubman is also fitted with a 6-speed automatic transmission, with the Cooper S variant receiving an 8-speed Sports Automatic upgrade with shift paddles. This is Mini’s first automatic transmission offering, guaranteeing a stylish, more comfortable journey for the whole gang.With the new Mini Clubman, road trips have never been more fun! 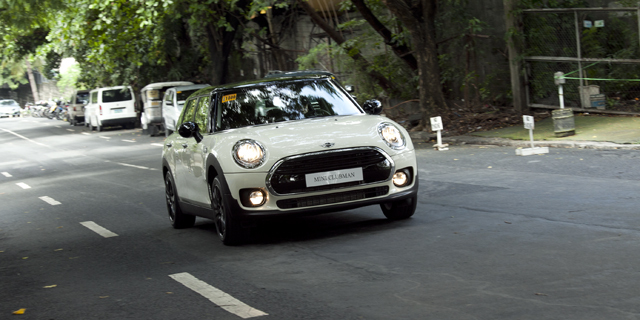 The MINI Cooper S Clubman and MINI Cooper Clubman are both available at MINI Global City, MINI Roadshow Greenhills and MINI Cebu for Php 3,300,000 and Php 2,800,000, respectively. Get great deals on all MINIs purchased from MINI Philippines on or before September 30, 2016, like a complimentary 3-year preventive maintenance service package, a MINI Advanced Car Eye and a 1-year comprehensive insurance coverage. Click here for more details.